Round stairs, simply put, are absolutely stunning adding aesthetic quality to a residential or commercial space. The proper placement of round stairs acts as a centerpiece, a crowning glory in any home or office. They will attract attention with their elegant lines and graceful curves, setting the stairs apart from the remaining space. With services available across the US, Southern Staircase is ready to help you create the vision you desire. Simple and detailed turned wooden baluster designs. Wooden square balusters or box newel designs, perfect for that craftsman style. Fluting and reeding wooden milling design enhancements. Wooden stock and custom baluster system profiles. You will appreciate our time-honored architecture with a diverse selection of design options for newel posts, balusters and handrails. 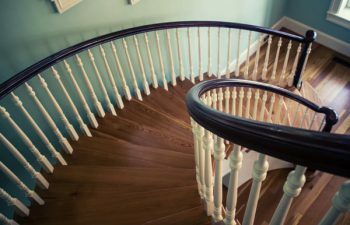 We have the experience and capabilities to build a curved staircase with amazing wooden handrail systems that suit your style, from traditional to craftsman. Metal baluster designs featuring twists, baskets, knuckles and plain bars. Metal selections for every style with round, square, smooth and hammered designs. Assorted collection of finishes including satin black, oil rubbed bronze, oil rubbed copper, satin clear and antique bronze. Enjoy limitless style options with our wrought iron handrail systems. 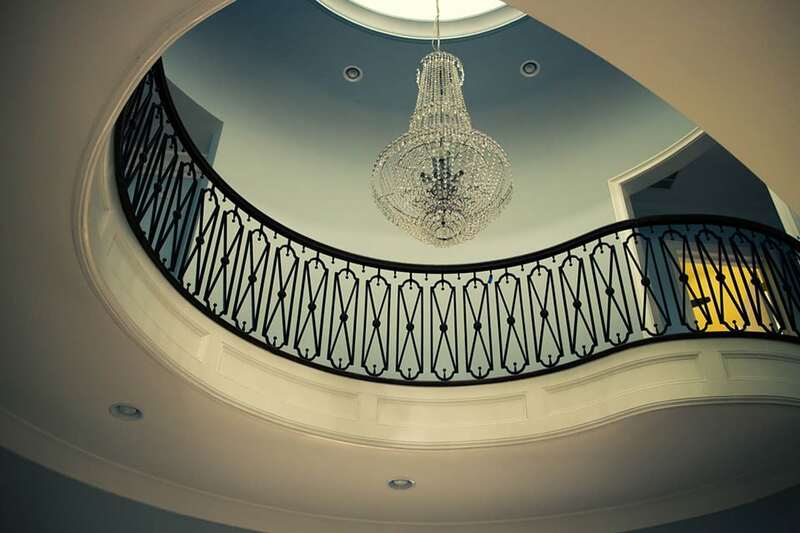 Hand forged by our team of skilled artisan welders, a custom wrought iron design is guaranteed to enhance the elegance of your circular stairs with pure luxury. Clean and sleek patterns with hammered or smooth textures. Luxurious and durable powder coated finishes to fit your style. Flowing scroll styles reminiscent of Tuscany. Modern, contemporary design for that cutting-edge flare. From inspiration to installation our design team will create a custom system or present choices from select patterns to give you that stunning look. Each design brings unique sophistication creating a true work of art in your home or business. Possessing an in-depth knowledge of codes and regulations, our team of highly skilled designers and craftsmen will guide you through all stages of your circular staircase design and build. 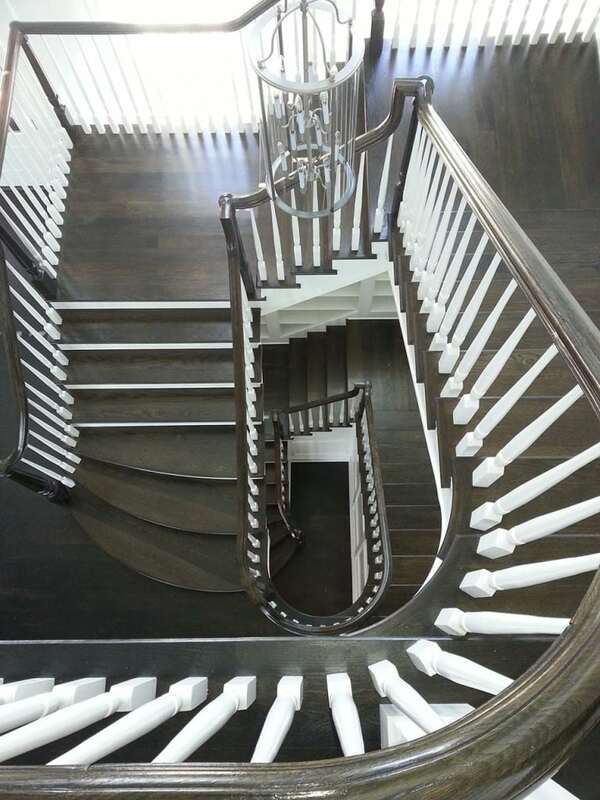 In addition to ensuring that each stunning staircase conforms to building codes and specifications, we work with architects and builders to ensure a perfect fit, smooth construction and flawless installation. Circular staircases are built in our state-of-the-art facilities. The staircase and complete handrail system is then delivered and installed by our expert craftsman at the project location. Turnkey processes ensure on time delivery with a flawless fit and finish. 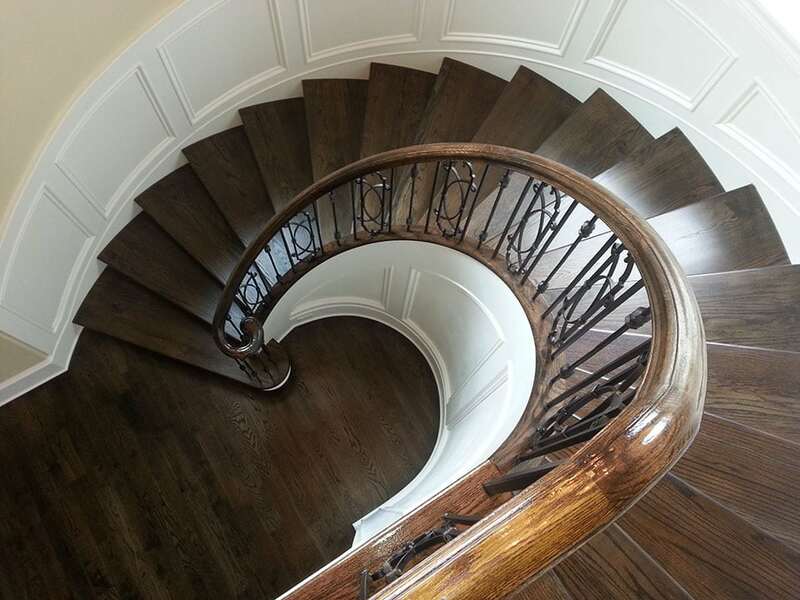 Visit our round stairs project gallery for additional details and pictures of our exquisite projects. From inspiration to installation our team is committed to designing and building the highest quality curved stairs for your home or commercial property. Contact us today to discuss your next circular stairs project.